Yet another quick entry into the database, for a title which may not have been ever planned for the C64, but it was included within a C64 game inlay as a new title coming soon. 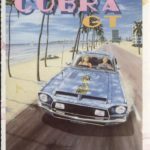 Advertised in Turbo Kart Racer’s inlay, Miami Cobra GT was a Chase HQ clone that did get a release on the Spectrum and Amstrad. It is very possible that a C64 version was also in the works, but possibly the developers struggled to get a decent racer going in comparison to the other 8-bit editions. Still very much early days, but can anyone confirm if this was ever a C64 title? 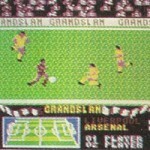 Is there a mention in the Spectrum/Amstrad’s inlay perhaps?